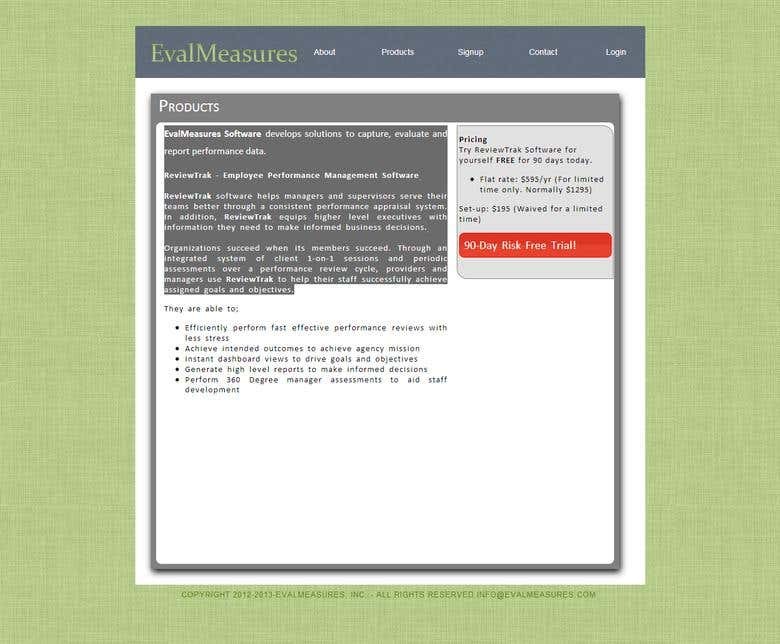 EvalMeasures Software develops solutions to capture, evaluate and report performance data. ReviewTrak - Employee Performance Management Software ReviewTrak software helps managers and supervisors serve their teams better through a consistent performance appraisal system. In addition, ReviewTrak equips higher level executives with information they need to make informed business decisions. Organizations succeed when its members succeed. Through an integrated system of client 1-on-1 sessions and periodic assessments over a performance review cycle, providers and managers use ReviewTrak to help their staff successfully achieve assigned goals and objectives.